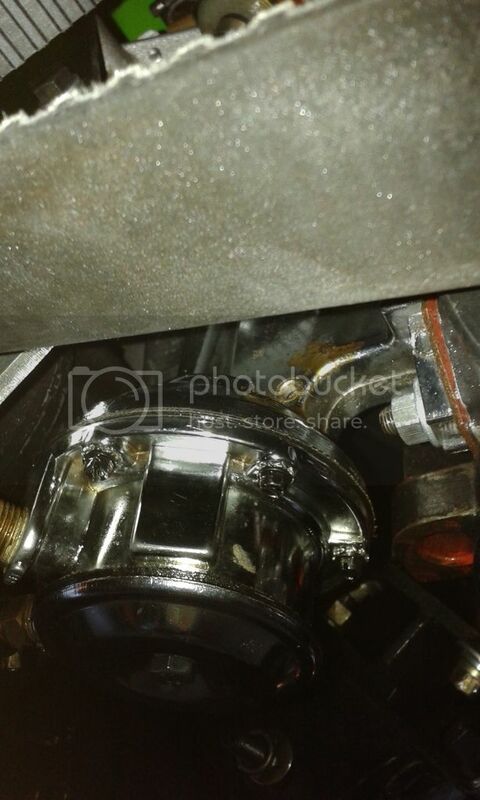 Home›Forums›Technical – General›Fuel Systems›308 Mech Fuel Pump Oil Leak ??? This topic contains 4 replies, has 3 voices, and was last updated by OZ38 1 year, 11 months ago. 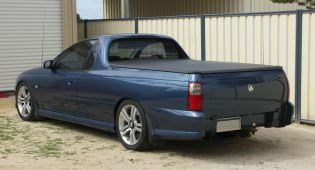 VS & VY Sedan & Ute. Ecotec powered Hilux 4WD. Looking to see if anyone on here can shed some light on a problem we are having with a mate 308 rebuild in his SLR Torana. After firing it up we discovers a bad oil leak coming from a hole in the side of the Mechanical Fuel Pump. We found that taking the oil fill cap off stopped it (or so we thought). 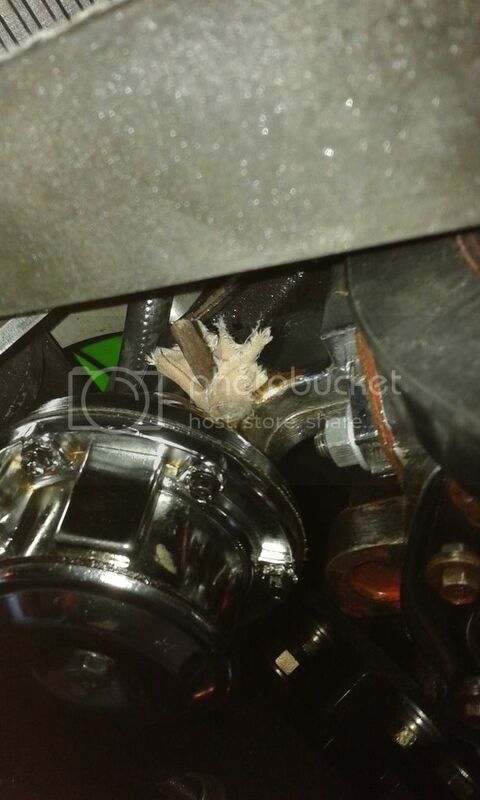 So mate took the two PCV hoses that joined together from the rocker covers & went to the base of carby off. He fitted two little K&N filters to each rocker cover port. Thinking that the engine had a bit to much PCV pressure for the stock PCV set up. It has Flat top pistons,VN heads & a big crane solid lifter cam with YT roller rockers. We ended up finding a stick & a bit of rag to jam in the hole, which stayed in place till we got back home. The 10 km trip one way lost about a quarter of the oil reading on the dip stick. The stick & rag did the job on the way back to avoid loosing anymore. Anyone seen this before or have any answers as to why the hole is even there ? Pretty sure that hole is there as a tell tale hole. If the diaphragm gets a hole in you get fuel coming out the hole. Should be sealed against oil getting in that far. Think there should be some sort of rubber seal arrangement near where it bolts to the block. Yeah it would be good if the oil didn’t get down to it as easy as it does. I am imagining the oil gets flung off the timing chain & runs down the lever rod into that section with the hole in it. There is only the gasket between the fuel pump & engine block which leaves clearance for the lever to move up & down off the offset cam drive. We have now tapped it & plugged the hole as we can’t see how we would stop oil getting down to it. 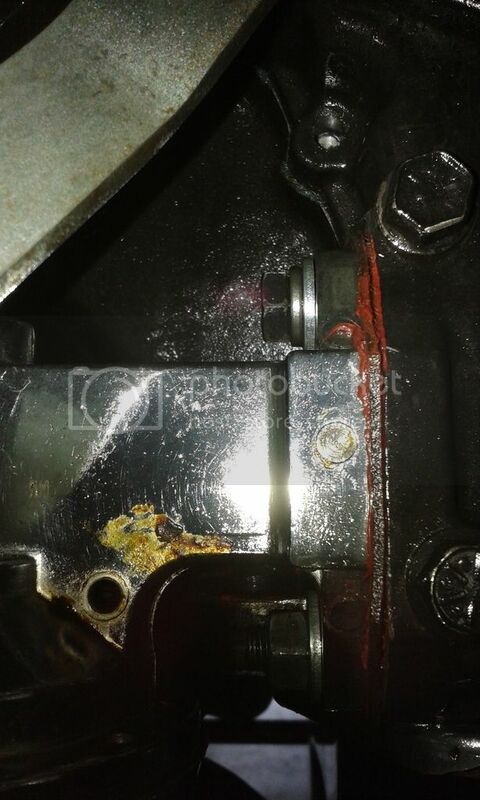 Googled images of 308 mech fuel pumps & some had the hole & some didn’t ??? Does this have a electric pump or only that mechanical pump? Thought the cam for efi heads don’t eccentric for f/pump arm to work off,never seen anyone actually confirm it. Does sound like engine needs catchcan & good size breather hoses off rocker covers…can get f/pump blanking plate cover hole if it runs off electric pump. The mech fuel pump is new. Plus we just had the engine apart for new seals, gaskets,rings, bearings, solid cam, VN heads etc. He does not want to spend more money if he call help it, converting to electric fuel pump. As for the fuel pump drive, we had to remove the longer drive pin from his old cam & fit it in to the new cam. The eccentric cam bit that drives the lever did not have enough pin to locate on, with the new cam & VN heads set up. Copyright © 2019 CommodoresPlus. All Rights Reserved.